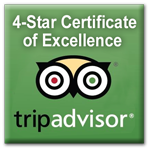 We at the Jean Bonnet Tavern are pleased to offer our guests a unique shopping experience. 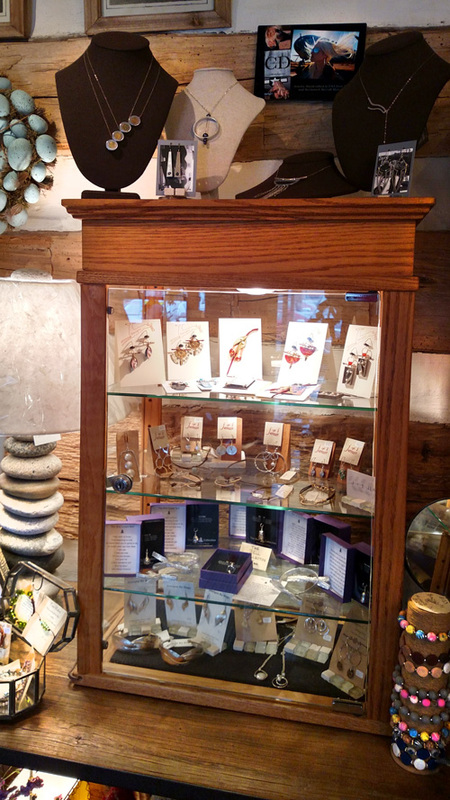 Our Cabin Shoppe sits beside the Tavern Restaurant entrance in a pleasant garden alcove. On the porch are hickory rocking chairs and a variety of unique vases, wreaths and charming floral accents. Inside shoppers find attractive displays of antique and colonial items as well as custom designed jewelry and giftware. 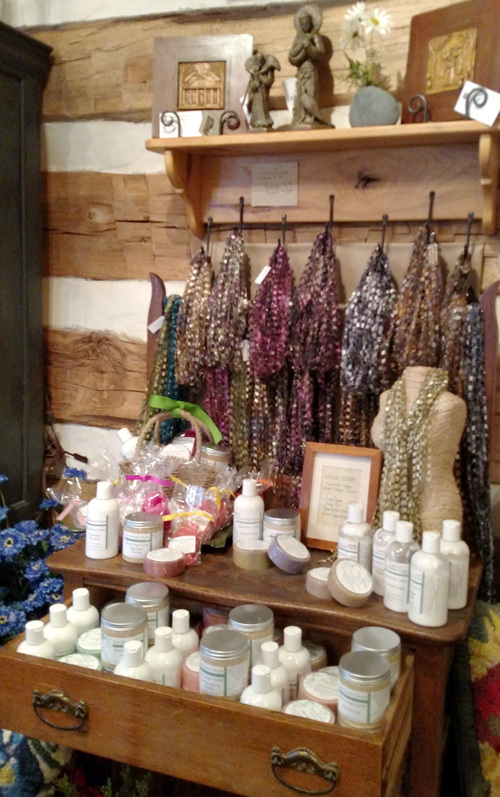 We offer hand-made soaps and lotions, scented soy candles, unique stationery, clothing and local mementos as well as a wide assortment of Pennsylvania and Bedford County culinary and history books. 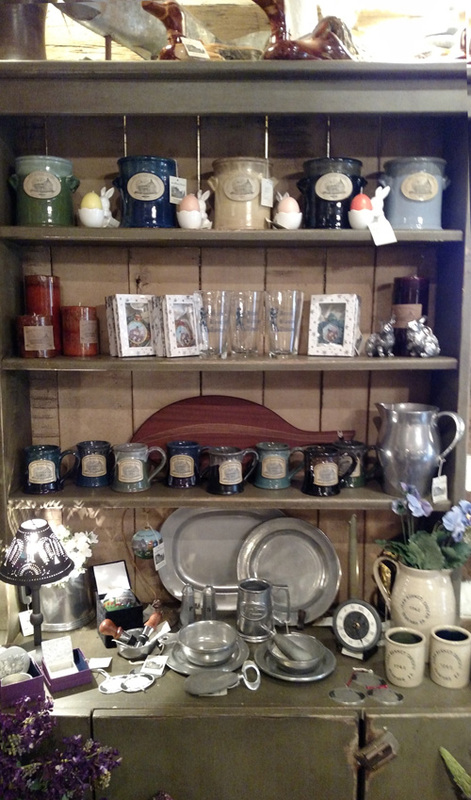 Pewter mugs, platters, pitchers, beautiful ceramics, cookware, and so much more make our Cabin Shoppe a browser’s paradise. 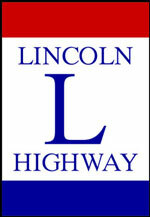 Please call us at 814.623.2250 with any questions. 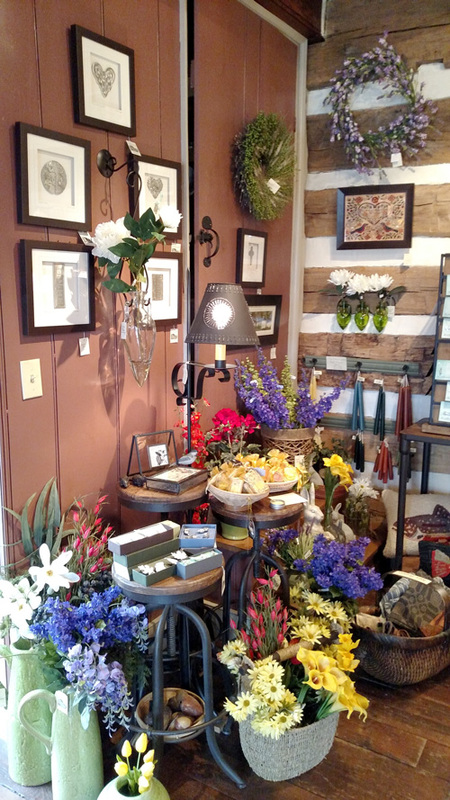 The Shoppe is housed in an authentic log cabin, originally built in the late 1700’s in Fayette County. 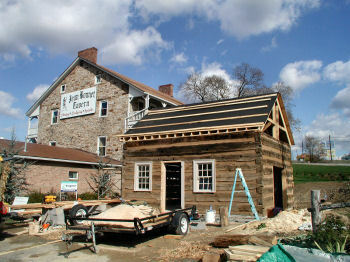 It was carefully relocated to the Jean Bonnet property and re-opened to the public as our Cabin Shoppe in January 2006. Below are some snapshots of the construction activity. 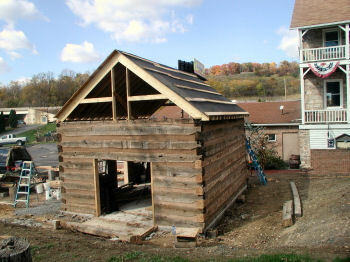 Photos taken during 2005 re-location of our 1700’s log cabin. 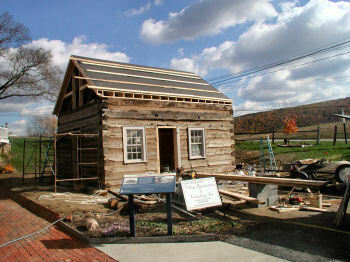 Our log cabin as it looks today situated beside the Tavern.